Are you dreaming of a backyard oasis that you can entertain guests and enjoy the summer with your family in? Do you wish that your front lawn or garden gave your home a boost of curb appeal? 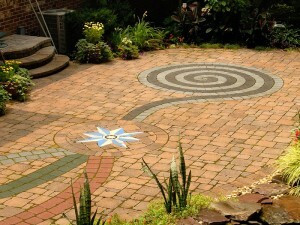 At VistaPro Landscape Design, we know that not everyone has time to spend hours on their landscaping every week. That’s why we offer a range of different landscaping services across Annapolis, Virginia & the D.C. Metro areas for those who are interested in getting some assistance from the professionals. Add a beautiful seating area to your backyard. Add shelter so you can enjoy your outdoor living space regardless of weather. The perfect area to eat and entertain! Aquatic accents to enhance the atmosphere of your home. Perfect for warm summer nights and cool fall afternoons alike. 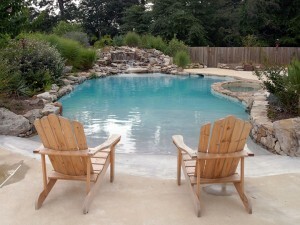 Design a relaxing oasis or bring new life to your current in-ground pool. From seasonal cleanup to mulching and mowing, let VistaPro transform the exterior of your home! Whether you need your lawn mowed every now and then or you want us to come in and completely transform your landscape design in Annapolis, Maryland, VistaPro Landscape Design is a local landscaping company that enjoys working with home and business owners in Annapolis, as well as in Virginia and the Washington, D.C. areas. As our customers have found, our landscaping services are second to none. We have provided many homeowners with a range of landscaping services in the past, and we can come to your home to discuss what you would like your lawn and landscaping to look like. If you are unhappy with your grass or concerned about certain areas of your lawn, we can help you with it. If it’s been awhile since you’ve gotten around to updating your landscaping, we can also help you with that. From ripping out old trees and flowers to replacing them with new ones, we will revitalize the look and feel of your lawn and garden. We want you to be proud of the way your lawn looks when we are done with it, so we will use all of our landscaping services to make sure that happens and that your home in Virginia, Annapolis or D.C. looks its best. In addition to perfecting your lawn and garden, there are also other landscape services we provide at VistaPro Landscape Design. 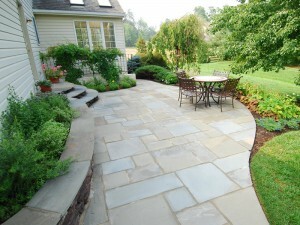 Whether you want to make your backyard better for entertaining or you want to increase your property value before putting your home on the market, you should trust a local landscaping company serving Annapolis, Virginia and Washington, D.C. like VistaPro Landscape Design to get the job done. We promise we will do our best to make the exterior of your home look its best before we leave your home, and offer ongoing support and maintenance options to help it keep it looking great after we’re done. VistaPro Landscape Design would love to get the opportunity to show you what we can do with our excellent landscaping services. Call us at 301-805-0119 in the D.C. Metro; at 410-878-2100 in Annapolis; or at 703-652-4545 in Virginia today to receive a complimentary site evaluation and to find to how we can help you make all of your landscaping dreams come to life.